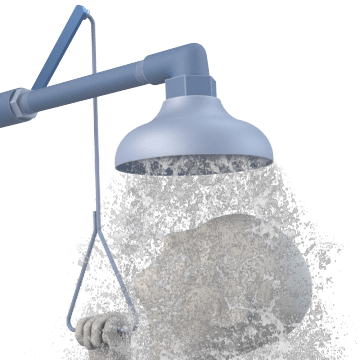 Stand under these drench showers to wash chemicals and other contaminants from your head and body. They provide more water pressure than drench hoses and eye wash stations and can also be used to douse flames on clothing or hair. 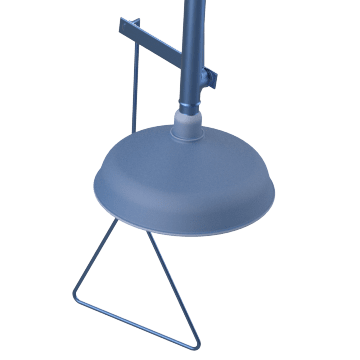 Mount these drench showers to the ceiling and connect them to your facility's water lines to provide an overhead shower. 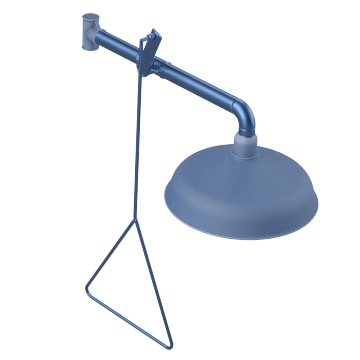 Attach these drench showers to the wall and connect them to your facility's in-wall water lines to create an emergency shower.